In 2005, when I began researching the tour I wanted to create for my students, I started with the notion of bringing literary London and England to life. As a proponent of experiential learning, I believe there is no better way to learn something, to learn and own it as knowledge, than to immerse oneself in many facets of it. Thus, my planning began with what I knew: Dickens and Shakespeare, primarily. I knew them well, their lives and their work, through my own coursework, and better still, through teaching their work. I wanted to create for my students a sense of who they were. The initial seeds began with a Dickens walk and tour of his home, now a museum, on Doughty Street in London. Next, Shakespeare. The Globe theater, first and foremost, offered a tour and a workshop provided by a member of the Royal Shakespeare Company. Further, we would travel to Stratford Upon Avon to visit his birthplace and church, the place of his grave sight. A capstone would be the Poet’s Corner at Westminster Abbey. We had studied the Romantic Poets and Chaucer’s Canterbury Tales. A day trip to Canterbury was recommended by the tour consultant, as were a host of other destinations, primarily churches such as Saint Paul’s Cathedral and Canterbury Cathedral, in addition to castles. Being star struck by the British Royalty since the wedding of Diana Spencer to Prince Charles, without hesitation I agreed to seeing the change of the guards at BuckinghamPalace, as well as visiting both Leeds and WarwickCastles. The trip rounded out nicely with a tour to Oxford to see the University, with the bonus of seeing where part of the Harry Potter movie had been filmed. Thus, our itinerary was set and appropriately aligned with the curriculum for the British Literature class. A colleague, Amy, also a fellow British Literature teacher, and I would lead the tour. 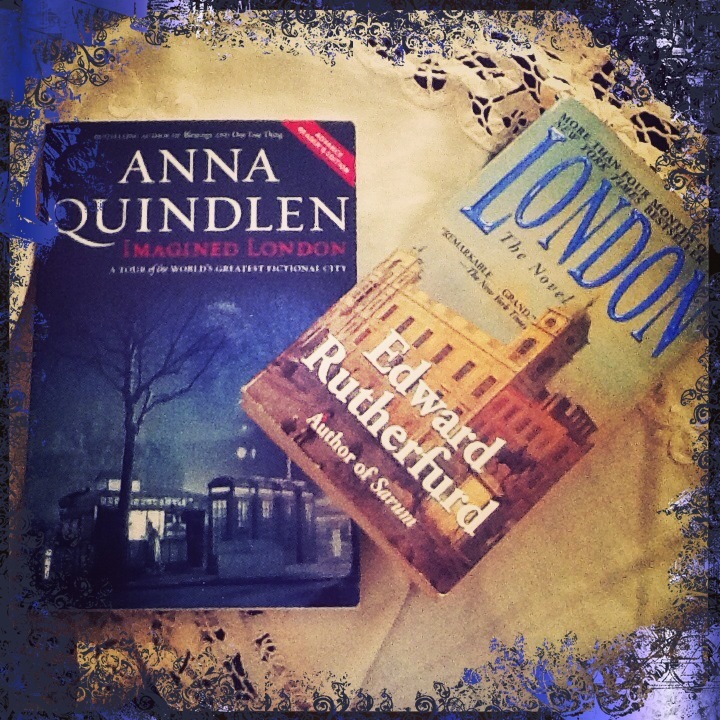 Before our trip commenced, it was recommended by another colleague that I read a book called Imagined London, by Anna Quindlen, whose work I long admired anyway. I purchased the book and kept it, saved it for the plane ride. Little did I know, after planning this tour and opening the first page of this book, a whole world would open up to me, a bonus I hadn’t considered in the early planning stages. Reading Imagined London was like a premonition to what I would begin to experience as the plane landed in Heathrow airport, some eight hours later. Book completed, anticipation mounting, I, along with my 23 other travelers, were about to embark on an unforgettable journey. The thought that resonated with me throughout the tour mirrored my own disbelief that I was walking into the past, the very footsteps of those authors who had created worlds for me had walked during the very writing that I’d so long admired. Moreover, the rich history that unfolded before me, unlike that in Paris or Spain– albeit interesting, was one that I could relate to because I’d imagined it prior to seeing it, for I knew it as I know my own American history. What took me by surprise was the language– that I’d imagined to be no different than ours save for a host of colloquial accents. I didn’t realize how very wrong I’d been. Sometimes when our tour director, Gus, spoke, I couldn’t even understand what he was saying because he used words I never even heard of. Our group found ourselves trying on words like rucksack, toodlepip, gobstopped, brill, and of course, the loo. I had the opportunity of bringing my whole family on this tour– my husband, two sons (ages 14 and 11) and my daughter (age 8). We happened to be touring WarwickCastle, a very-kid friendly adventure that included activities throughout the day which assimilated what castle life would have been like from the Medieval to the Victorian eras. Upon looking at coats of armor on display, Gus asked my daughter Alexa how much she thought one of the helmets weighed. Alexa shrugged her shoulders, and Gus asked, “Well, have you ever lifted a bag of sugar?” in his thick British accent, omitting some of the middle consonants as they sometimes do. Alexa gave a strange look to him and then me. I tried to clarify. “Yes you have Alexa. You know the sugar we use to make Christmas cookies.” Her quizzical look, bordering on horror, didn’t waver. So Gus told her about five pounds. Two night later, when I was tucking Alexa into bed, she asked if she could ask me a question. I sat beside her, and in all seriousness, she inquired, “When did I live in a bag of sugar?” I had no idea what she was talking about, the conversation at Warwick about the helmet long forgotten. For two days, Alexa had been stewing, convinced Gus asked her if she liVed (instead of liFTed) in a bag of sugar. To this day, we still laugh about the miscommunication. Culture shock was something I hadn’t anticipated being as great as I found it to be. On the day we arrived, a mass of Bobbies (British policeman) swarmed as one of the futball games had ended and disgruntled, drunk, Englishmen were leaving the pubs. We also witnessed the St. George’s Day parade as it went by while we were in front of Westminster Abbey, something I’d liken to any St. Patrick’s Day parade, floats passing by, everyone full of high energy, a real party atmosphere. This was balanced by the chills we felt watching the change of the guard, something everyone should see at least once. I felt every bit as patriotic for England, as I do at home when I hear taps, or see a soldier of war reunited with his family. I conquered a fear of heights in London, too, when I agreed to ride the London Eye, the biggest ferris wheel in the world constructed for the Millennium celebration. It was quite literally the high point of my stay in London, as it took 30 minutes for the wheel to go around and our entire group fit in one glass enclosed cart. I was awestruck by the majestic view of London– a sight that will be forever etched in my mind. Each time we departed from London, on three separate occasions, I was enamored by how old England really is. Listening to some of the tour guides at the churches we visited, I came to realize that building most of them took longer than America has even existed as a country. The old, imperfect and narrow cobblestone roads, and the crooked, tutor homes with fireplaces in nearly every room and thick clapboards for floors, and the lush, wild, organic English gardens were daily reminders that I felt a magical sense of nostalgia that what was is not forgotten in this country, as it sometimes feels at home. We saw the imposing stones that comprise Stonehenge and learned the myths behind its construction/appearance in addition to visiting Glastonbury, the home of King Arthur’s Court and the Knights of the Roundtable. Moreover, we smelled the salt of the Roman Bath’s before we even witnessed the green water which we were warned not to touch. Bath is a quaint village, one we didn’t even have enough time to explore fully, but we did get a tour of Jane Austen sites along the way. When we left Gus at the airport, many of us left crying, for he had become somewhat of a grandfatherly-figure to us and we were leaving behind the experience of a lifetime. One of the memories I take away with me each time I tour with kids is the bonding experience that comes out of it. We leave, each in our own little cliques, strangers to all the others, and return as a family of shared experiences. Eight years later, some of these kids still keep in touch with me and love to reminisce about our shared journey. One even went on to work for the tour company we used for the planning. Fast forward two years, Amy and I planned another tour that was eventually cancelled by the Board of Ed, and rightfully so, because there had been a terrorist bombing in the Tube station in London. Not until 2011 would I take this trip again, this time with another colleague, Brian, with whom I teach a collaboratively taught course (my British Literature class along with his European history course.) For this trip, we took a smaller group of seventeen students. Brian had lived a time in England, so he added an entirely new perspective for our group. We decided to change the itinerary up a bit, beginning in London and traveling north to Yorkshire country. The basic skeleton of the trip remained the same, but we’d wanted to infuse an equitable amount of literature and history for our students. Alan, a much younger gentleman than Gus, would be our tour director this time. Tour guide, actor, historian, Alan wore many hats and brought a sense of humor along the way that the students immediately keyed into. He began each day trying on a different American accent– from a southern drawl to almost daily improvisational raps. What struck me most about this trip was the abundance of history we learned, primarily from Alan, who began our journey in Trafalgar Square recounting the battle of Trafalgar and how, to preserve Lord Nelson’s body, they kept it in a vat of cognac– giving way to the term full-bodied wine. He told us the origin of the bonfires in the spirit of Guy Faulk’s day– the story behind the film, V for Vendetta– and how Saint Thomas Beckett came to be bludgeoned as a result of a frustrated outcry from King Henry II who later regretted his tantrum. Because we were in London just two weeks prior to the wedding of Prince William to Kate Middleton, Westminster Abby was abuzz with media, already camped outside where stadium seating had already been erected because all the guests wouldn’t be able to fit inside where they were erecting trees with hidden cameras for viewing about the church and outside. This only brought the whole experience of being in a place where history has been and will continue to be made even more real. This time, we also scheduled a tour of the Tower of London, a place I hadn’t been. I didn’t realize how massive a place it is, and didn’t even scratch the surface of all there is to see. 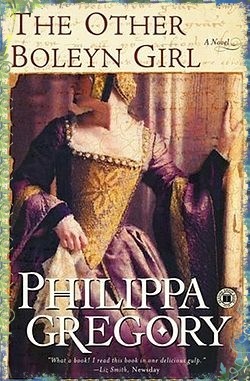 Being here was especially fitting since the summer before, we’d assigned The Other Boleyn Girl, Philippa Gregory, for summer reading. To see this, along with LeedsCastle, a summer retreat for King Henry VIII’s court, was particularly fitting and aligned with bringing literature alive. Pleased to return to the Globe Theatre, I was happy to see that the actor from the R.S.C. was in fact the same actor who had conducted the previous workshop– an engaging man, very interactive, with a Robin Williams-ish sense of humor. This time, some of our travelers are actually actors themselves, so they soaked in all he had to say. They, too, were mesmerized by how grandiose the theatre actually is with it’s trap doors, thatched roof, open structure, and ornate design. In Stratford, they posed with the host of characters from Shakespeare plays erected by the Avon, which means river, and watched a performance of Taming of the Shrew performed in the courtyard outside Shakespeare’s birthplace. On this tour, we would also visit WindsorCastle, seeing the mid-day change of the guards from two feet away. Windsor is a beautiful, quaint village with winding streets and tiny shops, in addition to the home of a modern-style church where Sir Elton John was married, which we had the opportunity to visit. Venturing up to Leeds where we would see a modern-day adaptation of Hamlet onstage at the West Yorkshire Playhouse and to York, a rustic, Medieval village where we shopped at the open air market and saw York Minster, and finally Howarth, a place I’ve always longed to visit as it was the home of my favorite author, Emily Bronte. I can akin this to a religious experience of sorts for me. Being in her home and the church where her father presided over, seeing the vast and lush moors she walked daily with my own eyes, was truly an experience to behold. I literally didn’t want to leave. After we departed from Howarth, we stopped in Harrogate, a beautiful, upscale city, that reminded me of Rodeo Drive, where we went to Betty’s Tea Room, a proper cafe where patrons dress in their Sunday best and extend a pinky when lifting the fine china tea cups from which they drink freshly brewed tea (not the kind you get with a tea bag) and eat scones or petit fours. The whole experience, the ambiance, the menu, made us feel like authentic English folk. Over the summer, after our tour, Brian and I, along with the most recent addition to teach British Literature, Ian, assigned the book London, by Edward Rutherfurd, a massive book of 1124 pages containing the history of London– its historians, its authors, its architects, its literal evolution– a novel that weaves history through the filling-in of gaps with fiction of what might have been or most probably was. With any summer assignment, our goal is to choose a piece of literature that will serve as a capstone for the year of teachings– whether of a literary or an historical nature, something we connect back to throughout the course. 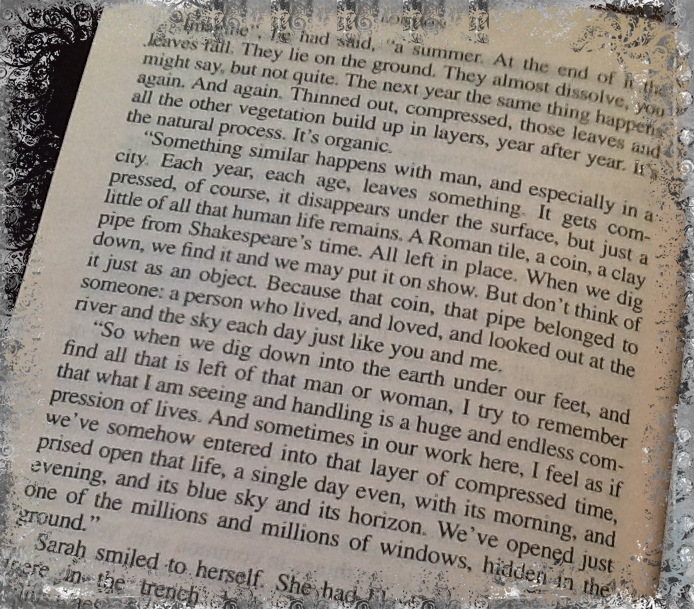 Reading and completing this epic novel is somewhat a badge of honor only in the sense of its depth and length. Upon finishing it, I wrote to Alan recommending he read it if he hadn’t already, in that, so much of the oral history he provided for us came to life in this book. London, the novel. literally mirrors what we’re trying to do in hosting these tours for our students, weaving together literature with history, interfacing it with our own modern-day experience, of it and about it, in order to gain a deeper, more enriched meaning of life– where we’ve been, where we are, and where we’re going– and, ultimately, the ability to understand ourselves a little bit better in the experience of it all. It’s brill you were not gobsmacked when you found the loo! Please tel me you are going to Hampton Court. You could certainly see your enthusiasm in the work you write. The sector hopes for even more passionate writers like you who aren’t afraid to mention how they believe. All the time go after your heart.